"Augmented reality" mobile game and worldwide phenomenon Pokémon Go was released to the public July 6, 2016, meaning the game has just passed its first year anniversary. To celebrate, the game has released versions of series mascot Pikachu wearing a hat based on anime protagonist Ash Ketchum's into the wild (Ash hat versions of pre-evolved Pichu and evolution Raichu are also available). The anniversary event featuring the hat-bedecked Pikachus is expected to run through July 24, and also features an "Anniversary Box" in the game shop, which six Incubators (allowing players to hatch eggs), six Max Revives (items that heal Pokémon "fainted" during the Gym battle portion of the game), 20 Ultra Balls (needed to capture Pokémon) and two Raid Passes (allowing players to participate in Raids). The box is 1200 Pokécoins (currency that can be bought for real money or earned by battling at gyms). The final days of the event coincide with the first days of Pokemon Go Fest, an event scheduled to be held in Chicago, Illinois, USA's Grant Park starting July 22. According to the event website, attendance is already sold out. 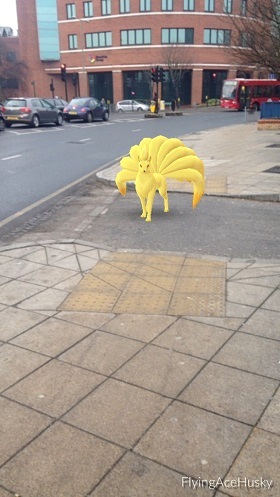 At the time of release, the game, which allowed players to track down and capture Pokémon "in real life" using smart phones, was a major hit, though opinions were divided as to whether it was the best thing (outside of Zootopia) to happen in 2016 or just another strike against the year. At one point, U.S. presidential candidate Hillary Clinton encouraged voters to "Pokémon Go to the polls"; she was not elected president. Players searching for elusive Pokémon managed to stumble across bodies so frequently that articles were written assuring people stumbling across dead bodies is normal. Despite all this, Nintendo and Niantic have claimed over 750 million downloads of the game, with over 250 billion Pokémon caught, all over the world. 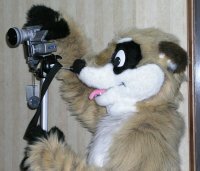 Photo credit Huskyteer via Twitter. For 22 years, more than 5000 pages, and now 200 issues, Gold Digger has been written, drawn, colored, and lettered by one person: Fred Perry. 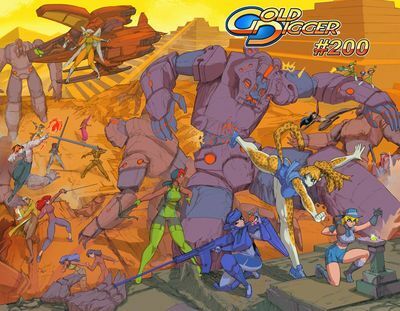 Now Antarctic Press is celebrating the 200th issue of Gold Digger with the Gold Digger 200 Series Special. “Gina heads off on a dangerous expedition to a lost Mayan temple on Monster Island, and this one time, everyone’s available to come help out. For the first time, Gina embarks on an expedition with an army of experts to assist, and she’s going to need every one of them to help with what she faces!” Among the extras included in this issue is the location of a special web site where the previous 199 issues are available for free. Watch an interview with Fred Perry on YouTube discussing the issue, or you can pre-order it at Things From Another World. Everyone else can look for the issue in late April.